Conjunctivitis also is known as pink eye, is a condition in which the eye produces excess mucous, tears or becomes red. It can only be accurately diagnosed by an eye doctor. 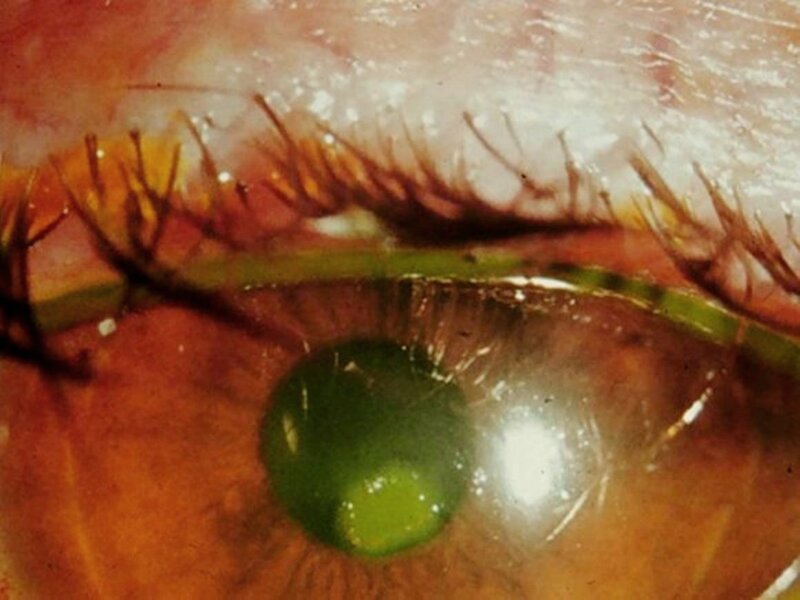 While conjunctivitis itself does not threaten your sight, there are conditions that mimic its appearance which can cause permanent loss of vision. Therefore, it is important that, if you are having any of the symptoms listed, you do not self-diagnose. Call our office for an immediate appointment. We set aside times for emergency visits like this. Herpes Simplex (the same virus that causes cold sores). The green branching buds are the active virus. The patient was self-treating as it was an allergy. Herpes Simplex with an underlying bacterial infection. Treatment options are antiviral/antibiotic eye drops and oral medication. Acute bacterial conjunctivitis which is very contagious. Although they can look the same, Dr. Patadia explaining the different treatments between viral, bacterial, and allergic conjunctivitis. 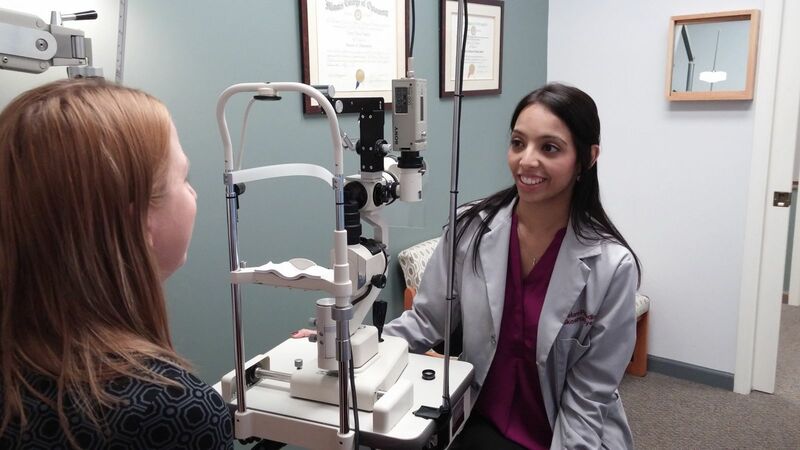 Self-diagnosing can be dangerous to your vision. Depending on the cause, treatment will very often be using a combination of the therapies listed above. Do not use "Visine" or any other product to "get the red out," unless instructed by an eye care professional. These products many times mask a more severe underlying condition. If you have pain or light sensitivity by itself or with other symptoms, stop all contact lens wear immediately and call the office describing your symptoms. We will get you an appointment that day. 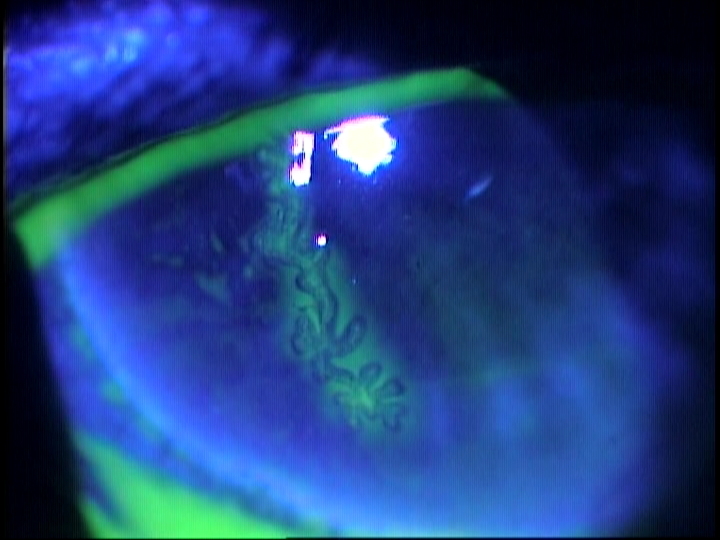 You may have a CORNEAL ULCER, which can cause permanent scarring and reduction of vision. days in order to save the eye.